The student was frustrated that so much of high school consisted of coloring. 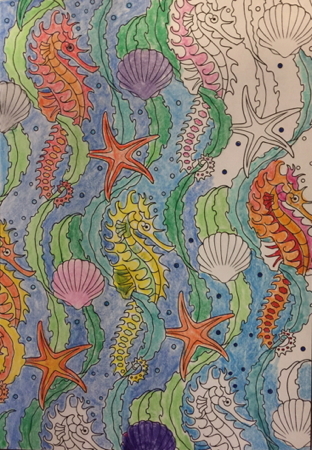 Now, I’m not categorically opposed to coloring, but I do agree with this student that its constant use in classrooms for “free time” can get old. I missed last Wednesday because I was in Belize working on two new games under development. This week isn’t as much teaching a concept as an activity. Many teachers will have a “free choice Friday” or an occasional free choice period as a reward. Three free things for today are all games, and it’s actually four free things (just wanted to be sure you knew I could count). Two games teach multiplication and division and two teach fractions. These are all demo versions and they are all free. Each of these games will take from 10 minutes to a half-hour or more to play, so you can easily use these for your free period. 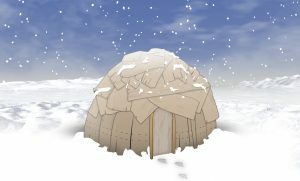 Making Camp – this game runs on Mac, Windows and Chromebook. This game is under development and you will find new features here each month. It teaches multiplication, division and Ojibwe history and culture. Forgotten Trail demo – also runs on Mac, Windows and Chromebook. 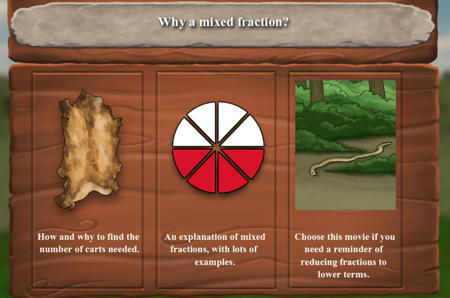 This game teaches fractions, statistics and Ojibwe history and culture. The demo has three math problems, a brief history lesson and a canoeing game. On our free demos page you can also find Spirit Lake, which teaches multiplication, division and Dakota history and Fish Lake, which teaches fractions and Ojibwe history. These games run on Mac and Windows but DO need to be installed on your computers, so if you don’t have administrator access, you’ll need to find someone who does. On the plus side, once installed, these games do not require Internet access, so if you are in the computer lab and your Internet goes down (it happens) throw your lesson plan out the window, we’ve got you covered. Only have iPads or Android tablets? We feel your pain!